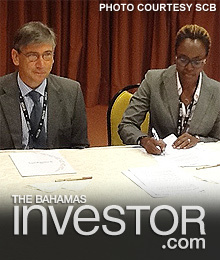 The Securities Commission of The Bahamas has signed an agreement to allow alternative investment fund managers to market or to perform fund management activities in markets supervised by co-signatory European securities regulators. The Securities Commission of The Bahamas recently signed a Memorandum of Understanding (MoU) under the Alternative Investment Fund Managers Directive (AIFMD) with French securities regulator the Autorité des Marchés Financiers (AMF). The latest AIFMD MoU was signed by the commission’s chair, Tonya Bastian Galanis, and the chair of the AMF, Gérard Rameix, October 1, 2014, during the 39th Annual Conference of the International Organization of Securities Commissions (IOSCO) in Rio de Janeiro, Brazil. The addition of the AMF brings the number of AIFMD MoUs signed by the commission to 24. 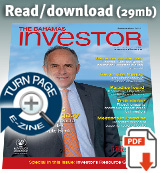 The agreements allow Bahamas-based alternative investment fund managers (AIFMs) to market or to perform fund management activities for alternative investment funds (AIFs) in markets supervised by co-signatory European securities regulators. Similarly, they allow European-based fund managers to manage or market Bahamas-based AIFs in markets where the European regulator has entered into an AIFMD MoU with the commission. The objective of AIFMD, a directive of the European Parliament and Council, is to create a comprehensive regulatory framework for AIFMs either operating from the European Union or marketing AIFs there. AIFs include hedge funds, private equity funds, real estate funds and other types of institutional funds. The Commission is seeking to conclude arrangements with counterpart regulators from the remaining seven EU member states this year. A team from The Bahamas is set to speak at the Private Wealth Latin America & The Caribbean Forum October 23-24 at the InterContinental Hotel in Miami, Florida. Evaluators from the Mechanism for the Implementation of the Inter-American Convention Against Corruption (MESICIC) met in Nassau, September 22.